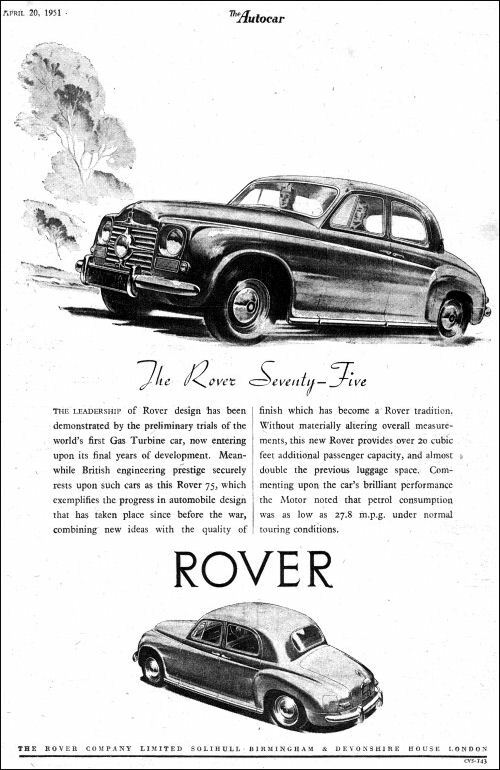 Rover 75 Series P4 Saloon received some modifications for the 1952 season, which include a neater frontal appearance with a new vertical-slat radiator grille – the central fog lamp is deleted flanked by headlamps mounted in circular instead of square recesses in the wing valances, with the sidelamps located atop the wings. The size of the rear window was increased. The 2103-cc six-cylinder engine have overhead inlet and inclined side exhaust valves and produce 75 bhp at 4200 rpm. 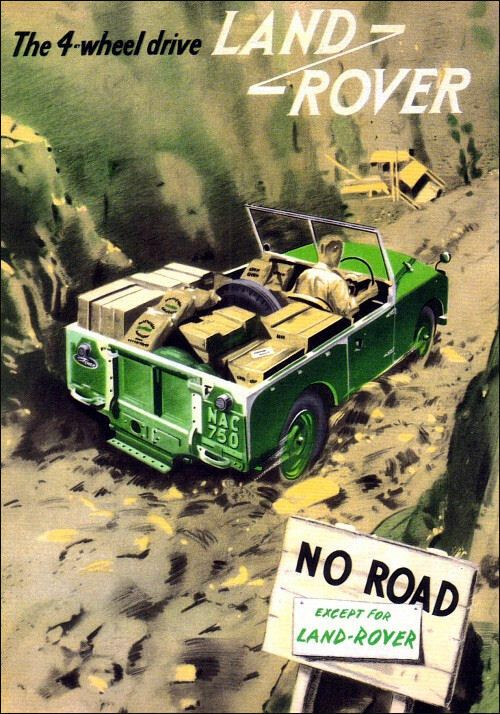 In May Rover signed a licence deal with Minerva for producing Land Rovers in Belgium. 1595 cc, 50 bhp; wb: 80 in. 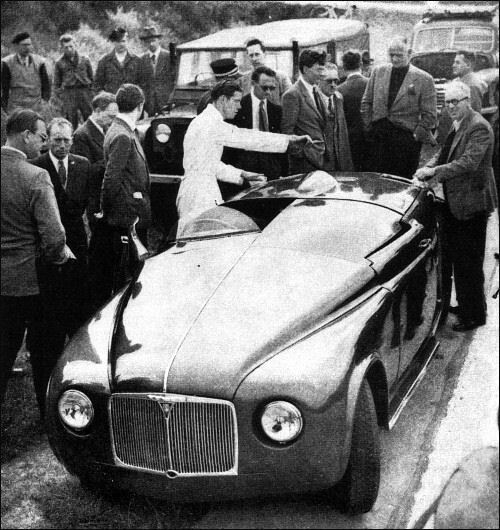 1959 cc, 52 bhp; wb: 80 in. 1997 cc, 52 bhp; wb: 80 in. Exterior door handles, new inverted-T shape radiator grill, side lights on wings. New four wheel drive engage automatically when the low gear range is selected. This is performed with a simple dog clutch mechanism. The gear box was also slightly re-designed to handle the more powerful 2 litre engine. 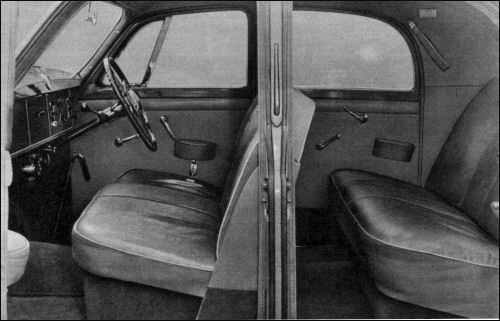 A 7-seat station wagon version was also introduced. 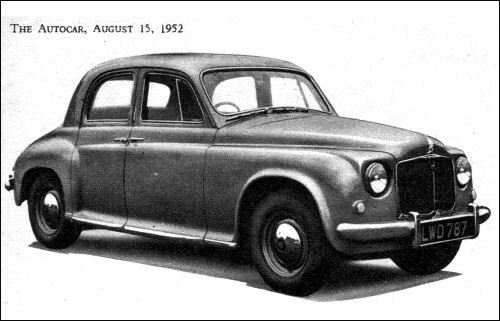 In 1952 and 1953, the petrol engine was replaced with a larger 2.0-litre I4 unit. 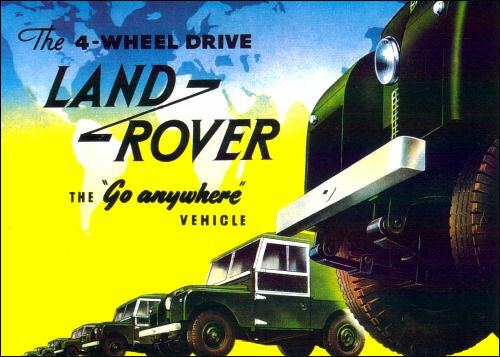 Between 1948 and 1952, the War Office had already purchased a total of 2331 Land Rover Mk 1 1600 cc engine and 2100 Land Rover Mk 2 with 1997 cc engine. The last of these had been delivered during the spring of 1952. The government is reverting fron the contract with Austin. For the price of one Champ that it could purchase at least two Land Rovers!